Maddy (on the right) and a friend celebrate their graduation. During the academic year of 2011-2012, I was lucky enough to get the chance to study abroad in both Germany and Spain as part of my undergraduate degree in German and Hispanic Studies. It was an unbelievable year, not only because I got the chance to improve my language skills, but because of the variety of people I met and the places I travelled. Intercultural understanding is becoming one of the most desirable qualities in a graduate and the idea of global exchange, whether educational or professional, is something almost every industry sector is trying to take on board. My degree at Liverpool gave me the chance not only to challenge myself academically, but also to gain extensive international experience, which became invaluable in my post-graduation job hunt. I now work for a non-profit Study Abroad organization that arranges study abroad semesters for undergraduate students coming to London from the USA. The organisation works across 6 countries, and I am lucky enough to get the opportunity to travel and interact with students who are about to begin their own study abroad experiences. My degree at Liverpool gave me the opportunity to learn a great deal academically, but also equipped me with a practical skill set and some fantastic experiences, which I now get to draw upon every day in my job! 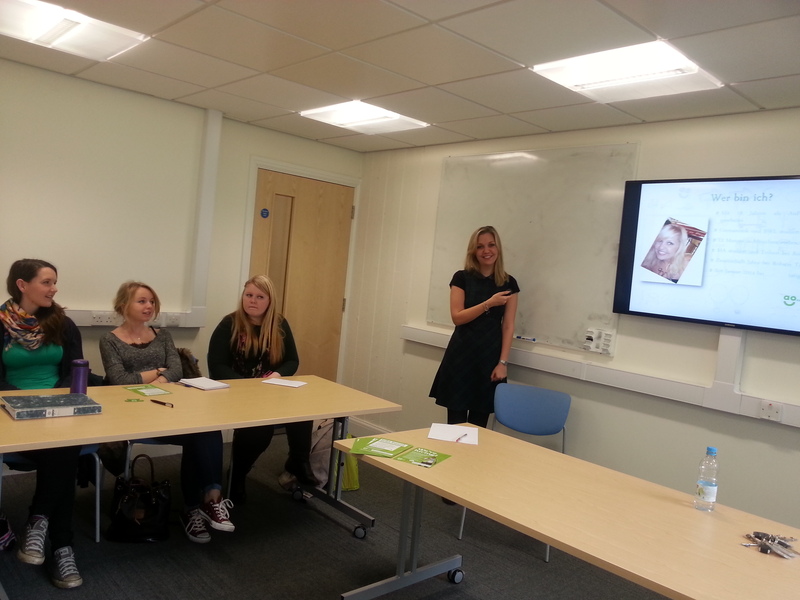 On 18th March, former graduate in European Business and German Cara Williamson gave a talk in German to our German finalists and Year 2 students. Cara talked about her degree during which she won a DAAD summer scholarship, then went on a 12-month work placement in Munich where she worked for Siemens (now Atos). She explained how her degree at our University influenced her career choice as she went on to recruit high level professionals based in Germany for German employers. 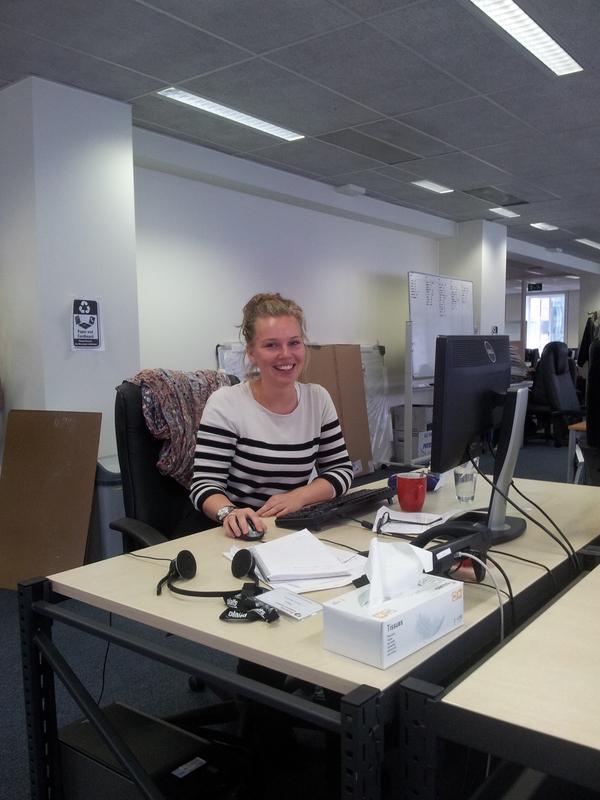 Today she is the International Recruitment Specialist for ao.com. of companies. Students were encouraged to think about careers outside of traditional language fields through a series of case studies from our graduates, who are using languages in their jobs. Research shows that 70% of graduates only speak one language so the CLAS students who attended the session now know how valuable their degree will be. As one of the graduates said in her case study: “Since graduating I’ve worked at 4 different companies, each of which employed me because of my language skills. My experience so far shows that foreign languages are in very high demand”. Laurel Henning read English and French at Liverpool and graduated in the summer of 2012. Laurel, who spent her year abroad in Meaux as an English language assistant, now works as a journalist in Belgium. In part, the year in Meaux inspired Laurel to think about working abroad after graduation. She comments “The chance to live abroad not only advanced my language skills, but really built my confidence and independence. I knew during my final year that I wanted to try and live abroad once I had graduated.” Laurel had long been interested in journalism, and spent some time seeking ways to combine her interest and flair for French with this career path. Getting into journalism is notoriously competitive, and after several rejections, Laurel was delighted to be offered a six-month paid journalism traineeship in Brussels with MLex. After six months, Laurel was delighted to be retained as an accredited journalist, reporting on energy and climate policy in the EU and working for a company that has the largest number of reporters in Brussels. Congratulations, Laurel, and good luck in the future! Marie Boon graduated from Liverpool in 2013 with a BA in Hispanic Studies. 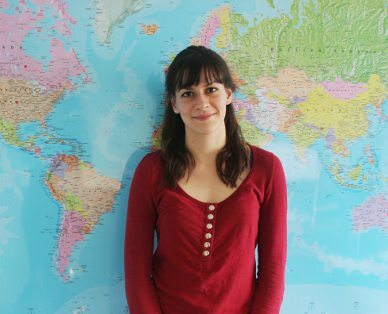 She recently got in touch with Languages at Liverpool to explain how her degree helped her to secure her new job as International Movie Coordinator, IFE Services UK. If there’s one thing that drew me to the University of Liverpool’s Hispanic Studies course over any other uni, it was the broad range of cultural modules on offer under the SOCLAS umbrella. But neglecting Literature and Linguistics modules in favour of European Cinema and Latin American Film Studies was never a career decision- in fact it seemed like a risky specialisation because, let’s face it, how many jobs require an in-depth knowledge of foreign film theory? With that in mind, I was so used to ignoring emails from the Careers and Employability Service that I actually let out a little squeal when one popped up with the subject heading “International Movie Coordinator required,” weeks before my final exams. Dubious about my level of qualification for the job, it was a tough decision to forfeit precious coursework writing hours for the CV and application process, but I couldn’t pass up the opportunity. Imagine my forlorn delight, then, to be offered an interview just five days before the dreaded dissertation deadline. Against advice from tutors and friends I threw myself into it and somehow wangled a job and a dissertation in the same week! Five months on and I’m a fully fledged International Movies Coordinator at IFE Services UK, one of just a handful of companies that supply in-flight entertainment to all the worlds’ airlines. I spend my days researching and screening new releases from all over the world, negotiating with distributors on behalf of major airlines, oh and lest I forget, filling in spreadsheets. Ok, so spreadsheets aren’t that glamorous but the rest is my dream job: as the only non-Hollywood programmer I’ve got free reign to book some real quality independent cinema and have even chased up some movies from the UoL syllabus. Amazingly, I’m able to use my degree to focus a lot of time on Latin American cinema and if I can pull it off, my greatest achievement will be persuading Emirates Airlines to book their first Catalan language movie; a sundrenched docu-fiction flick called La Plaga, produced by my Erasmus university in Barcelona, UPF (The same course that produced En Construcción, for those third years taking MODL302, ‘Aspects of Realism’). 1.) Movie Recommendation: Renoir by Gilles Bourdos, France’s 2014 Oscar entry about painter Pierre-Auguste and his son, filmmaker Jean Renoir. Essential viewing if you’re studying Renoir’s ‘Partie de Campagne’ with Alison Smith. 2.) Job application top tip: Make use of the Careers Service- they offered me innovative advice on the structure of my CV that made my application stand out, so much so that my (now) boss made a point of it in the interview. 3.) 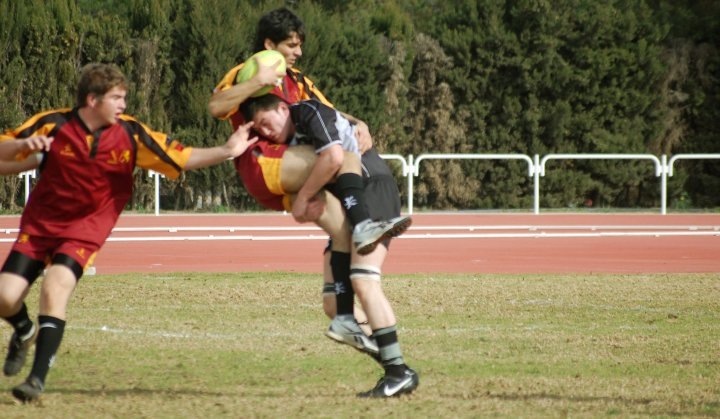 Career advice: Extra-curricular activities: DO THEM! Start your career before you finish your degree- I definitely would not have a job today if I hadn’t followed this advice. Create your own opportunities if necessary, just do something!! 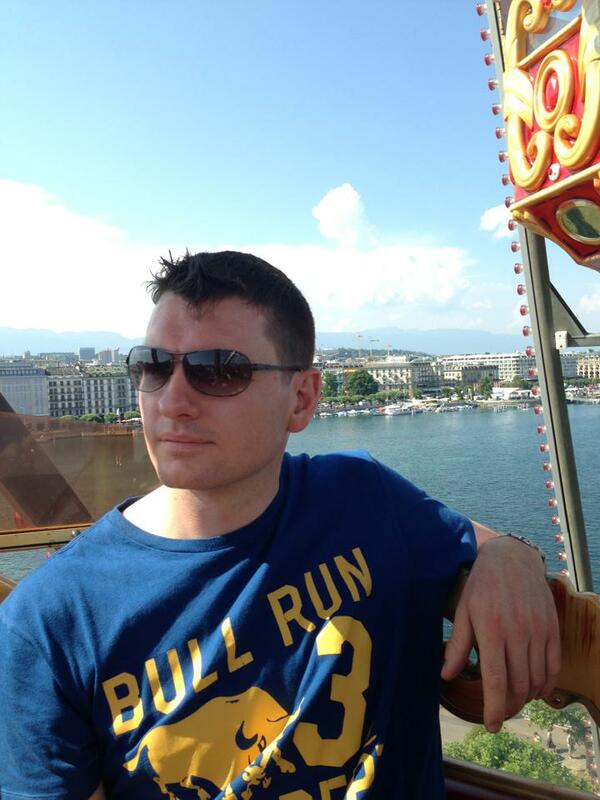 Sam Jackson graduated from Liverpool in 2002 with a BA in German, and is currently working as a senior consultant at the leading public relations firm Burson-Marstelle in Geneva. He recently got in touch with Languages at Liverpool to explain how his degree has helped to shape his career over the past decade. As Sam says, a degree in German was ‘much more than just a language’. Despite the fact that the German department is no longer in my immediate past, I think it has had a clear influence on where I am and what I do these days. After completing my degree, I began my career with a position that used my German language skills, working for a research company in Germany. A couple of years later I was running a team which provided support to a number of countries in six languages. When I left this job it was almost the last contact I would have with anything relevant to my degree title, but a German degree equipped me with much more than just an ability to speak a foreign language. Though my title of my degree was German, it covered a huge variety of topics, from contemporary diplomacy to writing in the Vormärz, and demanded we have a command of the subjects that was both broad and deep. Studying in this way made serious demands on our analytical and critical thinking skills, and instilled in me a confidence to take on new challenges by understanding both broad context and specific detail. I still use the skills I developed at Liverpool to do this in my career today. These days my family and I are based in Geneva, which presents only the occasional opportunity to speak German, but offers myriad opportunities to butcher the French language. I work as a senior consultant at the global public relations firm Burson-Marsteller, and our clients include many multinational corporations and international organisations of the type you find in Geneva, and all over Switzerland. My area of expertise is in understanding what they do, and helping them to translate this into messages and communications that resonate with their audiences. Ten years down the line, the range and diversity of challenges I faced in my degree, whether it was reading E.T.A. Hoffmann’s Der Sandmann, a book I love, or getting into the detail of German reunification, helped me to develop many of the skills I use every day to serve my clients. My time in the German section at Liverpool remains an important and relevant foundation of where I am today. Sara Walters, a recent Liverpool graduate in International Business and German, blogs about her new job in the Business-to-Business sector. 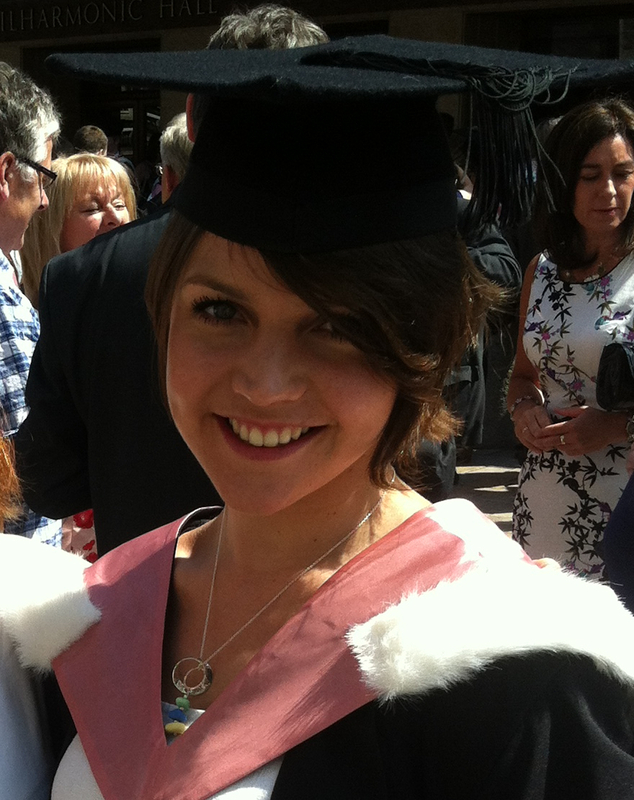 In particular, Sara tells us how her degree helped her to secure the position. I spent my year abroad doing an internship in Bonn, Germany. 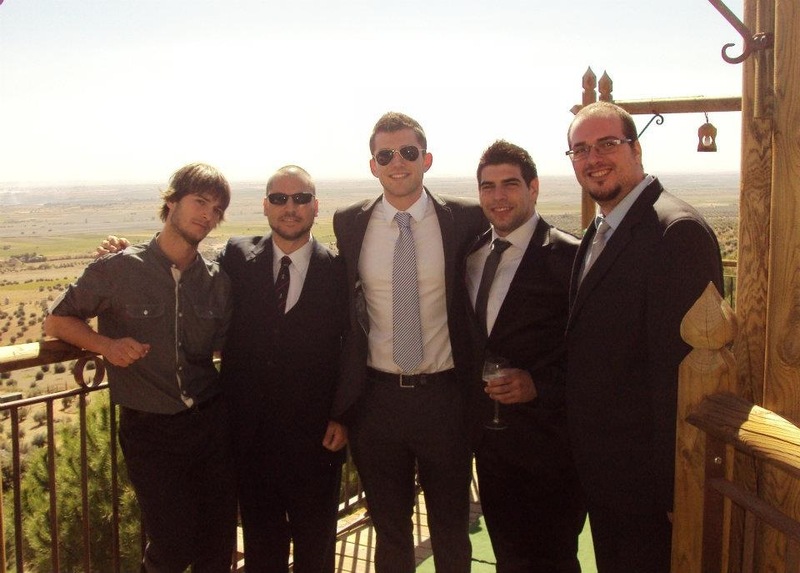 I worked for a multi-national engineering company, where I gained experience in sales and marketing. I chose this company very carefully, because from the start of my studies, I knew I wanted to be a sales representative in the Business-to-Business sector. Four months before finishing my degree, I uploaded my resume on several recruitment websites. Just two weeks later an international company invited me in for an interview and three days later, I received an offer as a part-time multi-lingual customer advisor until the end of my degree, and promised a full-time contract from July onwards. Although I enjoyed working within a multi-lingual team, my position did not require any business knowledge and I realised how important it was for me to work in sales, rather than after-sale and customer service. I therefore quit my job and put my CV back online. Two weeks after my last exam, a recruitment company contacted me on behalf of a very successful recycling company. Once again, my languages skills definitely gave me a huge advantage: three interviews later, I received a job offer for a business development and sales coordinator position. I started working long before my graduation ceremony and I really enjoyed being able to use everything I had learnt at University. I was speaking English, French, German and Spanish on a day-to-day basis and I was responsible for all the export customers worldwide. The only downside of the job was that I had to buy a car to get to work every day, and it would take me almost an hour drive to get there. Driving two hours a day was expensive and tiring. I therefore decided to put my CV back onto the internet once again. One week later, the HR manager of a multi-national company based in the city centre of Liverpool called me and asked me to come in for an interview. She was looking for a French/English or German/English sales representative. During my interview, she verified that I could indeed speak the three languages; the next morning, she offered me the position of multi-lingual sales representative. The role was very similar to my previous one, but involved a week’s training in New York and a significant salary increase. My experience so far shows that foreign languages are in very high demand! I would definitely recommend this career path to anyone with an interest in foreign languages or business. Accountancy is not really an area I ever thought of entering as a German student and I’d never really done anything related to it in the Management School, but I was looking for a varied role that would enable me to travel, work with a number of companies and gain some real commercial exposure. 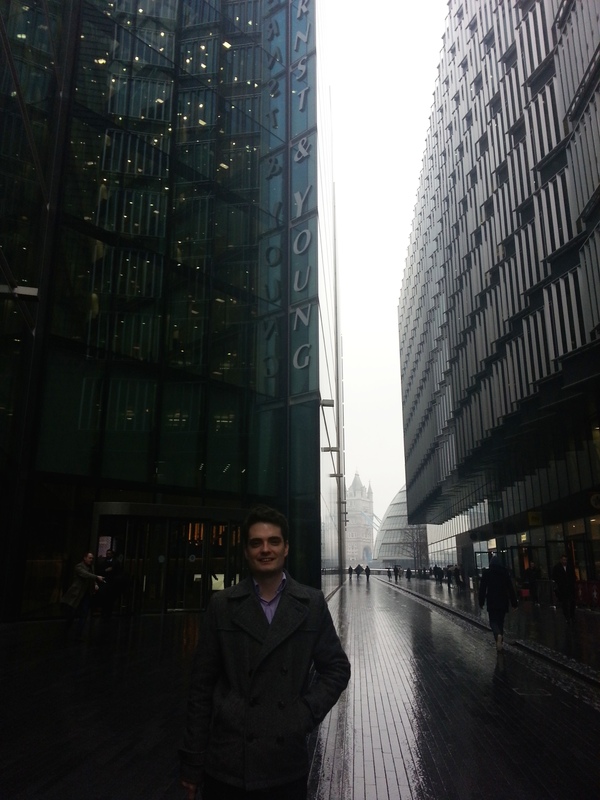 The job at Ernst & Young fitted that bill perfectly, and on hearing that they take students from any degree programme I decided to go for it! As part of the graduate scheme we have to qualify as Chartered Accountants, so the first couple of months were spent studying. After a couple of months of hard work we’ve now passed our first set of exams and are at work on our first clients. I’ve spent my first assignments working on parts of two insurance groups, one with revenue of over £2 billion, and another with revenue of over €90 billion, so am gaining an unrivalled insight into business and seeing some real responsibility from the very beginning. So how did my time in the Cypress Building prepare me for a job that on the face of it sounds completely unrelated to what I studied? 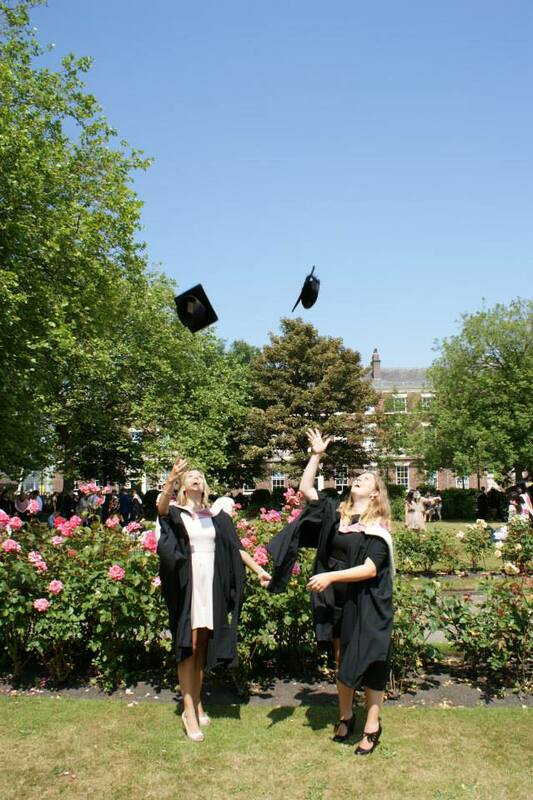 For starters, the tutors at Liverpool are really aware that the reason we are all at university is to find a job when the sad time comes when we all leave, so there is a real focus on employability in the way that the language is taught. The university has great business contacts, so I managed to get a fantastic work placement for Siemens in Munich for my year abroad which gave me a lot of practical skills which I’m now able to put to use in my graduate career. You also gain a real cultural awareness studying languages at Liverpool, which is invaluable working for a global firm where you are frequently exposed to other cultural working practices. With financial services being such a global industry I’ve been handed a lot of client documentation that is not only in German, but also in Spanish so I’m even making use of what I remember from my Spanish A-Level! Furthermore, as a firm with such international presence we are actively encouraged to consider spending time working abroad, so I hope to do a secondment in the German office once I have all of my exams out of the way. Recent Liverpool graduate Anna Homa has been in touch to tell us about her experiences of studying in China. Anna graduated in 2011 with a BA in Business Studies and German, where she took courses in Business German Language and German culture in CLAS, as well as in tourism, marketing and business in the University of Liverpool Management School (ULMS). 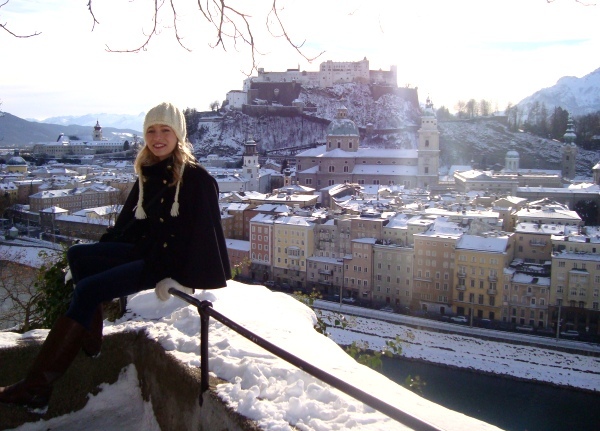 Anna also spent her year abroad – a ‘truly unforgettable year’ – studying at the University of Salzburg in Austria, one of Liverpool’s partner universities in the Erasmus exchange scheme.